This is a service of The Daily Courier in Prescott, Arizona. 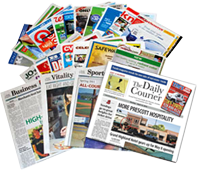 The basic print pages of The Daily Courier are uploaded for viewing by subscribers. Some older archives before April 1, 2017 are available to view without a subscription. Get more when you subscribe. Click here for subscription offers.